Tapeta Trained Thunder Snow (IRE) & Benbatl (GB) victorious on Dubai World Cup Night! 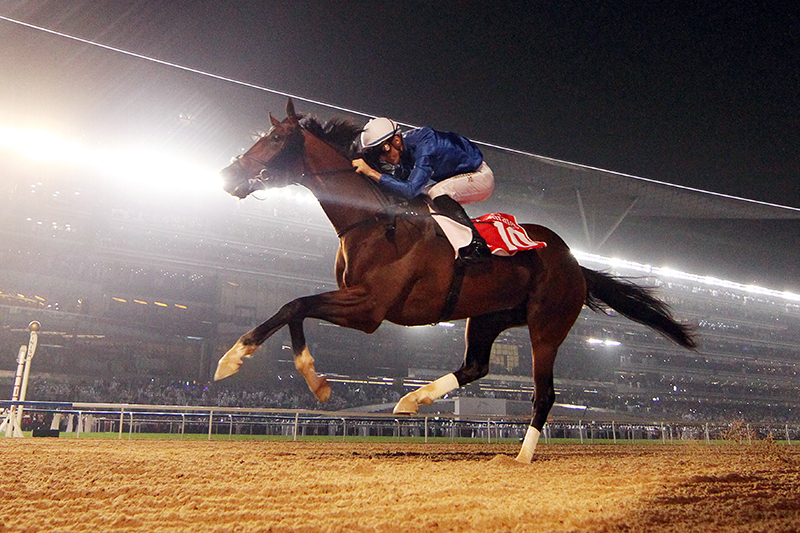 Thunder Snow (IRE) won the $10 Million Dubai World Cup (G1) on the Dirt Track at Meydan on March 31st. The World Cup winner was trained exclusively on Tapeta all season long but was still able to dominate a very competitive Dubai World Cup winning by 5 ¾ lengths. Also trained all season long on Tapeta was Benbatl (GB) the winner of the $6 Million Dubai Turf (G1). Like Thunder Snow, Benbatl is trained at the Godolphin Al Quoz Tapeta Training Surface. http://www.tapetafootings.com/wp-content/uploads/2018/03/Thunder-Snow.jpg 533 800 Neal Walsh http://www.tapetafootings.com/wp-content/uploads/2018/04/Tapeta-Footings-Logo-black-1.png Neal Walsh2018-03-31 12:09:202018-04-26 14:55:13Tapeta Trained Thunder Snow (IRE) & Benbatl (GB) victorious on Dubai World Cup Night! Tapeta Footings At The Asian Racing Conference May 13-18th!